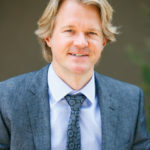 With more than 25 years performing cosmetic plastic surgery in the Phoenix/Scottsdale area, Dr. Lawrence Shaw has a tremendous amount of experience to share. He is board-certified by both the American Board of Plastic Surgery and the American Board of Surgery. Shaw’s excellent reputation is attributed to his uncompromising commitment to the highest standards of patient care, rational decision-making and meticulous technique. He has thousands of satisfied patients throughout Arizona, the United States and beyond. The Shaw Center’s mission is to deliver the utmost in surgical and nonsurgical cosmetic care and patient experience. The practice strives to be the plastic surgery and medical aesthetic spa of choice where it consistently meets or exceeds patients’ expectations. Caring for patients, assessing and realizing aesthetic goals in a safe, comfortable environment is always the top priority. 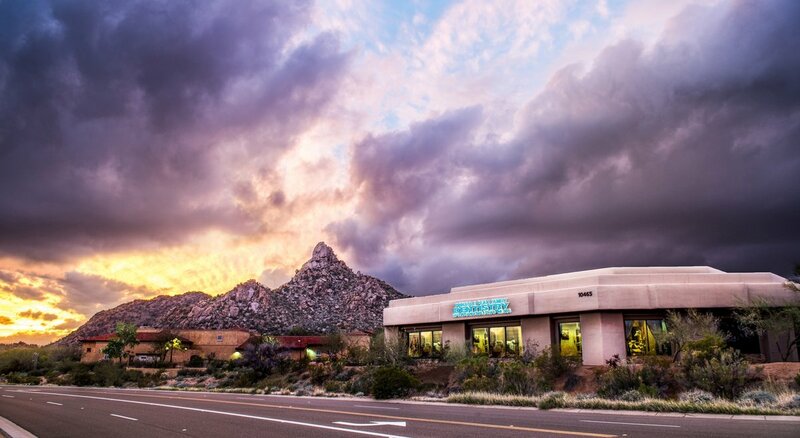 Nestled into the beautiful mountains of North Scottsdale, Pinnacle Peak Family Dentistry strives to provide the highest-quality dental care, all in a warm and comfortable environment. When you visit the office, your smile and overall health is the top priority. 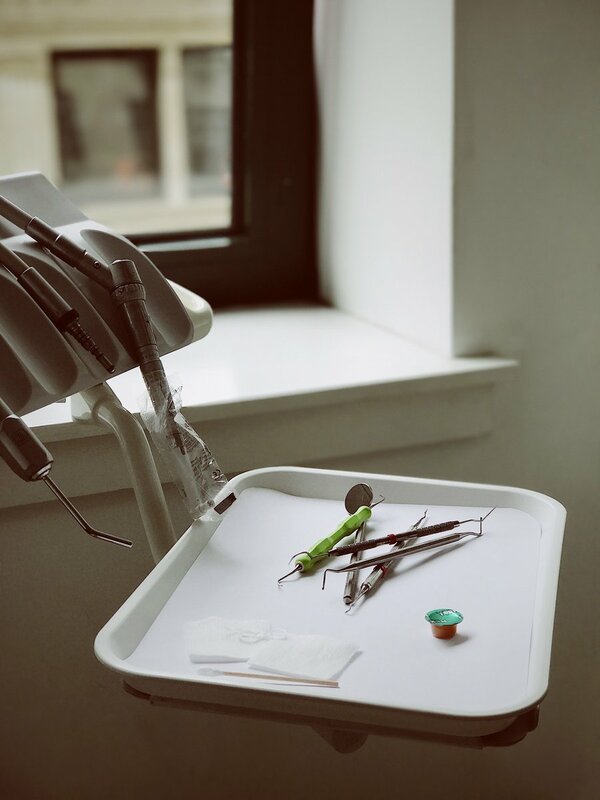 The state-of-the-art facility offers all of your dental treatment needs from cosmetic veneers and crowns, implants, Invisalign and general dentistry. The practice’s dentists, Christine Tran, Sara Vizcarra and Neil Zachs, participate in hours of extensive training to be on the frontline of dental advances, making sure they are giving the best treatment possible to their patients. 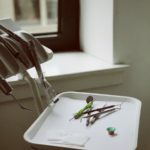 These providers take the time to educate their patients on their dental needs ensuring there are no questions or doubts as to what is needed and why. Pinnacle Peak Family Dentistry prides itself on making sure that the partnership it forms with patients is for a lifetime of healthy smiles! 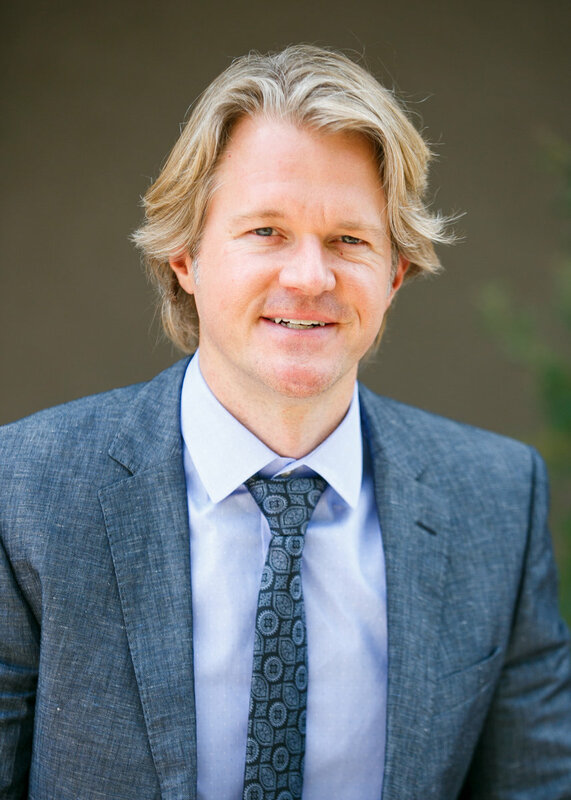 Dr. Gary McCracken founded Center for Dermatology & Plastic Surgery in 2000 and has been ranked as one of Arizona’s top dermatologists by Phoenix Magazine 12 times since 2005. He specializes in general and cosmetic dermatology, as well as skin cancer surgery and is well known for his vast knowledge, personal care and attention to patients. McCracken received his bachelor’s in biology from Creighton University and an MD from Creighton School of Medicine. He completed his dermatology residency at the University of Illinois at Chicago, where he also served as chief resident. He also completed his residency to attain board certification in internal medicine as well as a yearlong clinical research fellowship in dermatology at Emory University in Atlanta, one of the most prestigious dermatology departments in the nation. The practice covers a wide array of dermatological issues, from acne and rosacea to infections and cancer. 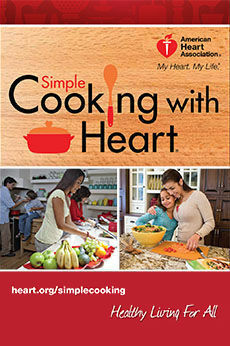 It also has a variety of treatment options customized to each patient. Opus 1 Orthodontic Studio offers a wide array of treatment options and technologies for a custom-tailored approach that best fits any individual need or budget. 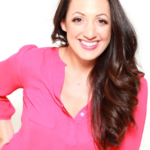 Started in 2016 by Dr. Monika Barakat, an orthodontist with more than 10 years of experience, it pairs state-of-the-art technology such as 3-D digital imaging, digital intraoral scanning and clear aligner therapy with a dedication to achieving a confident, beautiful smile in patients of all ages. More important than technology and training alone, however, is the care with which Barakat approaches each patient. 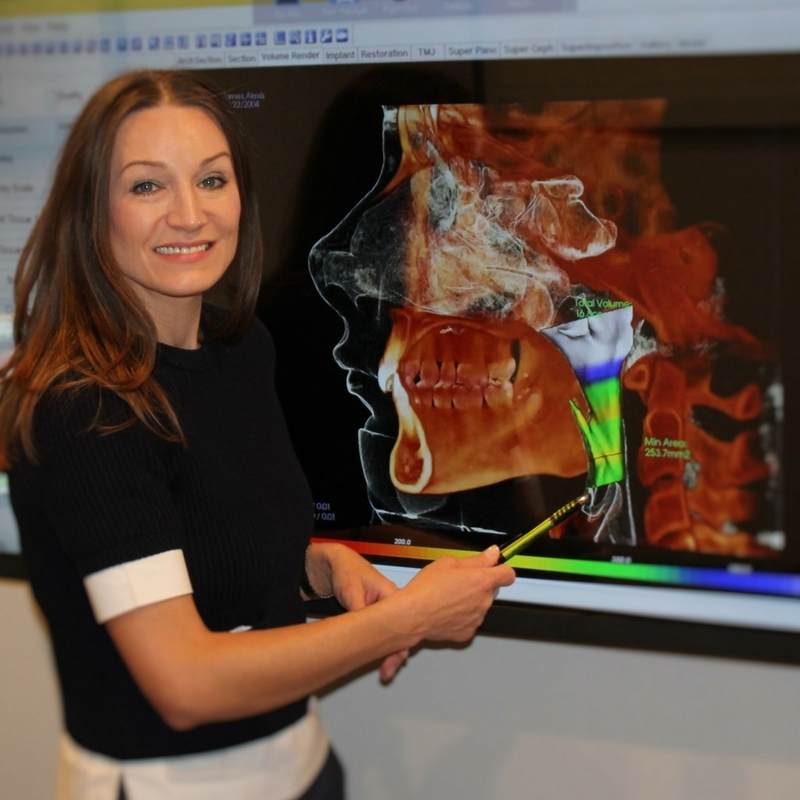 As a mother of two, she realizes that choosing an orthodontist can be a very difficult decision and takes the responsibility of caring for her patients and educating their families to heart. Barakat and her team truly believe in the importance of family and a healthy, vibrant community. 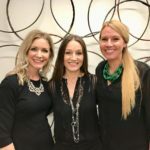 Since joining the North Scottsdale community, they have participated in countless local events and school fundraisers, sponsored local teams and participated in many charitable events. It has been a tremendous privilege giving back and becoming part of the fabric of this great community. Kyle Palmer, D.C., was born in Calgary, Alberta. He moved to the Valley as a teenager. He graduated from Logan University in 2000 and has served the Cave Creek/North Scottsdale area ever since. He met his wife, Angela, D.C., in chiropractic college. They have a 10-year-old daughter, Reese, and a 6-year-old son, Kade. Palmer’s hobbies include playing and coaching hockey. He also enjoys watching his children’s sporting events. He has a love for Hawaii, and you will see that in the office. They play Hawaiian music and have an island motif. Chiropractors see a variety of conditions, including lower back pain and sciatica, neck pain, headaches, disc herniations and shoulder issues, just to name a few. Palmer has decompression therapy, which is an alternative to surgery for disc issues. 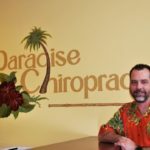 Paradise Chiropractic has two massage therapists on staff and is in-network for most insurance companies. 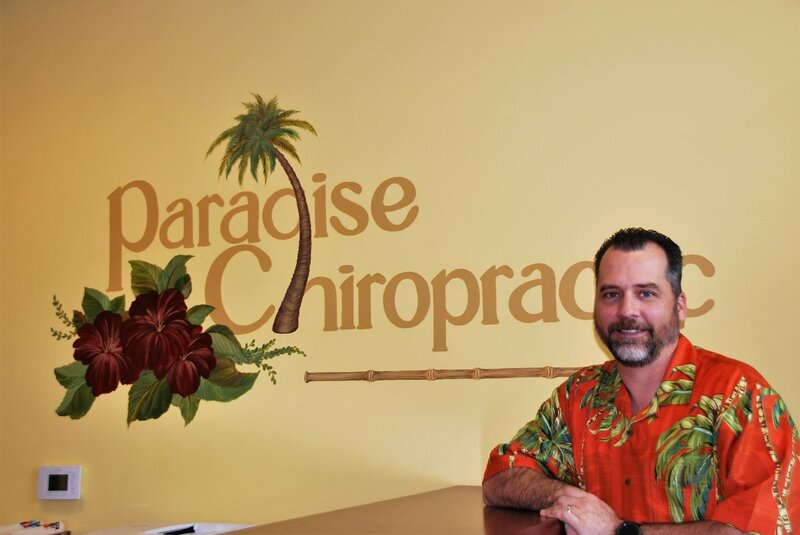 Paradise Chiropractic provides a warm and friendly environment, paying attention to each person’s needs and goals. You will be seen within minutes of your arrival! 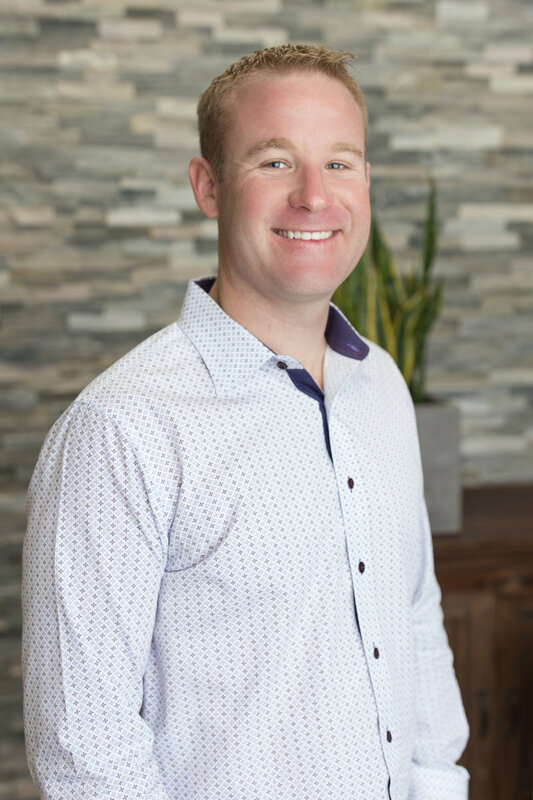 Palmer is very honored to have been chosen as the best chiropractor in North Scottsdale and looks forward to proving it! For more than 30 years, Urban Design Associates has helped clients achieve the homes of their dreams. Lee Hutchison leads UDA’s highly talented and experienced staff. To offer the finest service, UDA continuously studies new trends in residential architecture. Fusing creativity and functionality, UDA designs homes that speak to your lifestyle. From the first conversation to the final nail, UDA spares no effort in bringing you home. The key to a successful designing relationship is being able to listen. UDA creates a clear process and dialogue for defining your preferences. 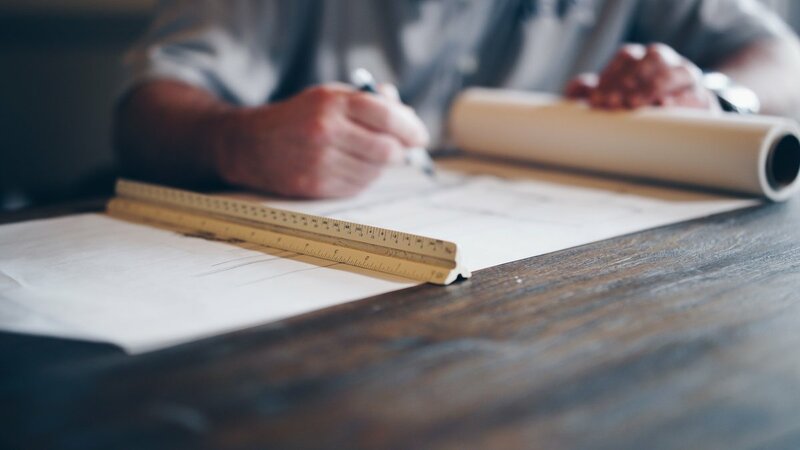 With a comprehensive understanding of building materials, lighting design methods, construction technologies and your vision, UDA develops your plans as a team. The firm has a network of the finest interior designers, builders and consultants to include in your project. UDA’s mission is to provide its clients with exceptional design, quality service and accurate construction documents in a timely and efficient manner. Camelot Homes is one of the oldest, family-owned homebuilders in Arizona. With more than 45 years of experience building thousands of homes in Arizona’s finest communities, Camelot Homes has established an unparalleled tradition of homebuilding pride and excellence, and it shows. Phoenix area homebuyers have come to recognize Camelot Homes for its uniquely personalized service. The customer’s individual needs and desires are Camelot’s foremost concern and influence the construction process from the initial planning and design to construction and follow-up service. Every Camelot Home is built according to the highest standards of workmanship. Because Camelot Homes insists on building in only the finest Valley communities and using the best architects, materials and subcontractors, the beauty and value of a Camelot Home is designed to withstand the test of time. Camelot Homes invites you to join in its growing family of proud homeowners as the company continues its tradition of building distinctive homes throughout Arizona! Kozi Design is small design firm that believes in a personalized approach to design. 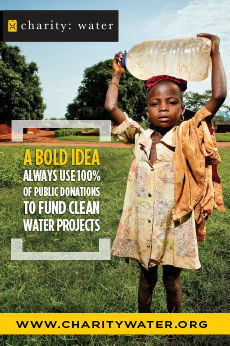 The firm develops personal relationships with its clients to create beautifully unique and custom designs. 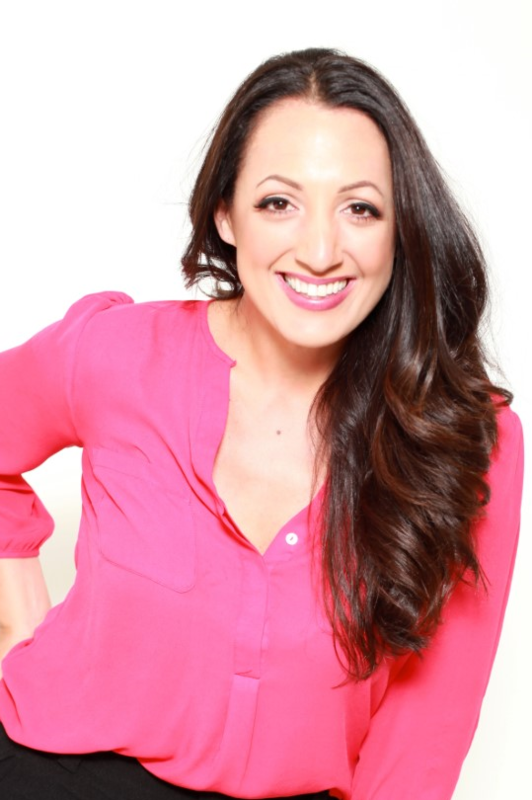 Principal designer Dawn Mannarino’s projects include both residential and commercial spaces, such as VIP Mortgage Office Spaces and Pure Barre Studios. The Potato Barn is a family-owned Arizona furniture store featuring a unique collection of eclectic and one-of-a-kind pieces imported from around the globe. 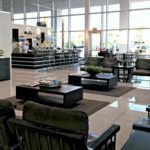 You’ll find everything you need, including a large selection of sofas, sectionals, entertainment centers, dining room tables, bedroom sets and that one conversation piece that brings an entire room together. Potato Barn’s showroom shares ways to marry furniture and accessories to create a unique look that will be “home” for years to come. Potato Barn specializes in a wide array of styles from urban industrial and rustic to shabby chic and vintage. Many items in the collection feature heavily distressed finishes and reclaimed wood. 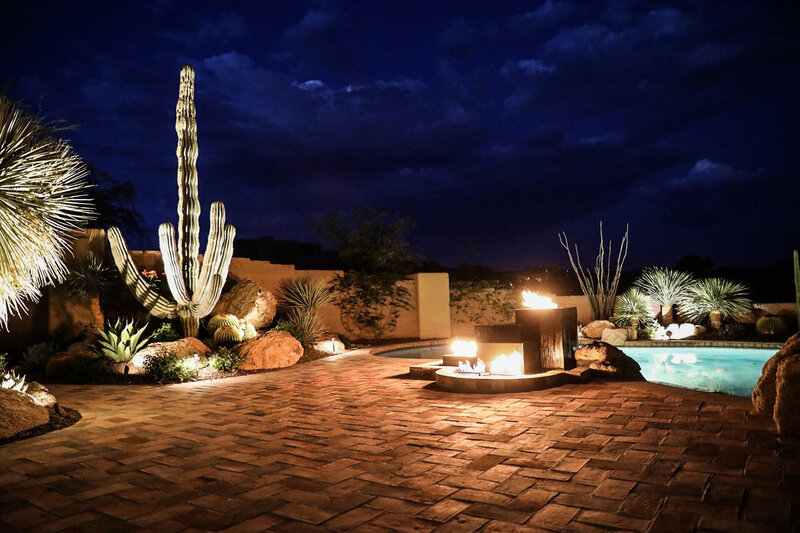 Since Desert Foothills Landscape’s inception in 1990, the company has perfected an innovative artistic approach to creating outdoor living environments that will significantly increase the value of your property, and more importantly, the quality of your life. Desert Foothills Landscape has become synonymous with large-scale, awe-inspiring, high desert landscapes. 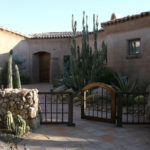 The company has had the honor of creating beautiful, unique surroundings for private residences and museums alike. 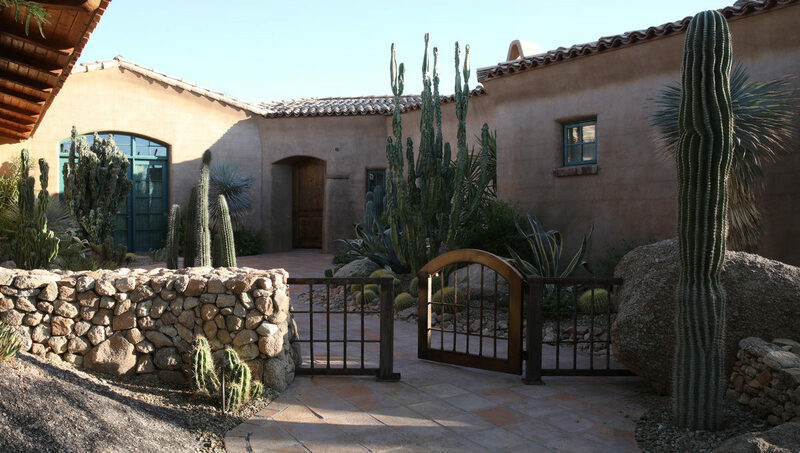 Desert Foothills Landscape has earned the Phoenix Home & Garden – 2017 Masters of the Southwest Award for Best Landscape Designer, graced design magazines and appeared on television, but ultimately, the team just loves what it does. Desert Foothills Landscape has literally moved mountains, boulder by boulder, to make dreams come true. A leader in custom closets and home storage solutions since 1983, California Closets Greater Phoenix has been an innovator in personalized organization for more than 30 years. 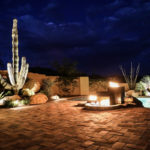 Serving customers from Cave Creek and Anthem in the north to Chandler in the south, the team will work with your desired aesthetics and budget to make any area of your home more efficient. Whether you live in a Spanish-style home near McDowell Mountain Regional Park that needs more functional walk-in closets or a ranch-style home in Phoenix that could use a garage storage system for your outdoor gear, the closet designers at California Closets Phoenix will work with you to create a design that makes your home come to life. The Miksta Team at VIP Mortgage takes purchasing a home and leveraging mortgage debt to the next level. The focus of this mortgage practice begins and ends with the end client. The team always provides outstanding customer service, ensuring the homeowner is well-assisted and properly placed in the loan that is best for their financial future. By annually reviewing client situations and goals, The Miksta Team has a large impact on how its borrowers manage their debt obligations. The home mortgage is often overlooked when assessing goals or current financial standing. 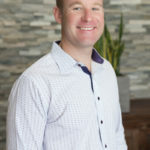 In applying Jeff Miksta’s background and knowledge gained from nearly 15 years within the investment world, he can further enhance mortgage planning to incorporate all aspects of an individual’s lifestyle. The Miksta Team at VIP Mortgage offer all types of financing options such as FHA, VA, Jumbo and conventional loans. It is happy to analyze anyone’s situation whether you’re looking to purchase or sell real estate, refinance your mortgage or simply to manage your current loan to provide the best options for a successful future. VIP Mortgage is an Equal Housing Lender. NMLS ID 145502. Jeff Miksta NMLS ID 1366595. Best Heating, Air Conditioning & Plumbing Co.
Parker & Sons has been serving homeowners and businesses for more than 40 years and is recognized nationally for being one of the most knowledgeable heating, cooling, plumbing and air quality contractors in the industry. Serving Maricopa, Pinal and Gila Counties, Parker & Sons continues after all these years to maintain an A+ rating with the Better Business Bureau, and even won the BBB Torch Award For Ethics—twice! Parker & Sons has the best team in the industry and always make sure everyone is properly trained technically and in customer service. Many members of the company helped design the quality audit program to ensure 100 percent customer satisfaction. 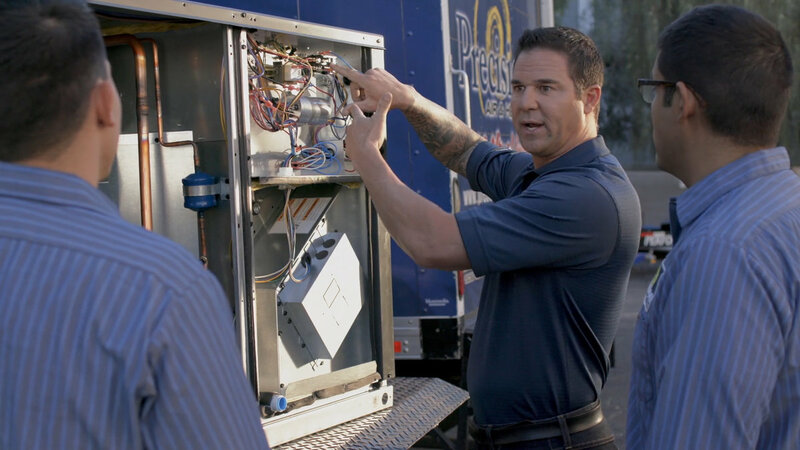 So, call today for all your cooling, heating, plumbing, electrical, water treatment and indoor air quality need, and you can join the thousands of Valley residents that have received “Comfort today or you don’t pay!” backed with an exclusive 100 percent customer satisfaction guarantee. 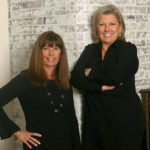 Kathy Reisdorf and Cindy Metz, Realtors for Russ Lyon Sotheby’s International Realty and founders of Reisdorf | Metz & Partners, have built their reputation on a combination of impeccable customer service and incomparable results. 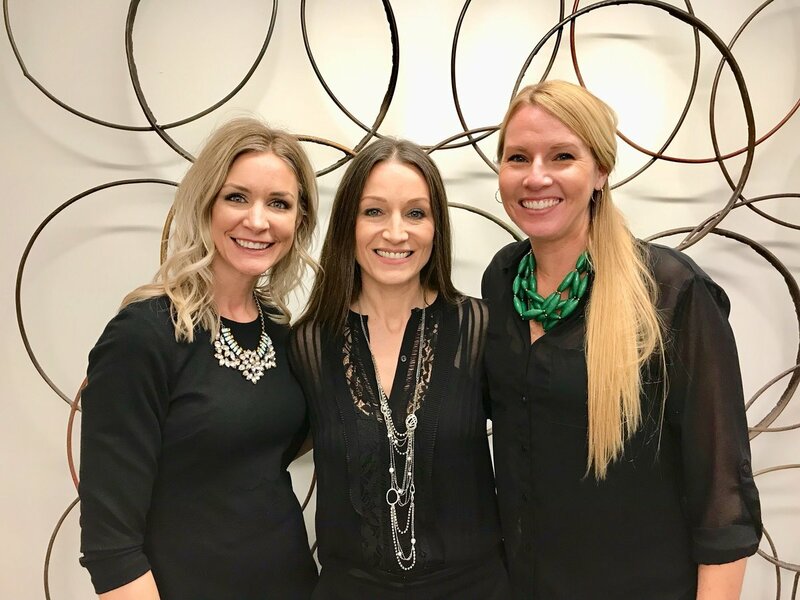 Nearly 75 percent of their business comes from referrals, a strong testament to the drive, dedication and hard work that Kathy, Cindy and their team employ every day. Whether a modest home or a sprawling, high-end estate, Reisdorf | Metz & Partners’ innovative solutions garner desirable outcomes for buyers and sellers alike. 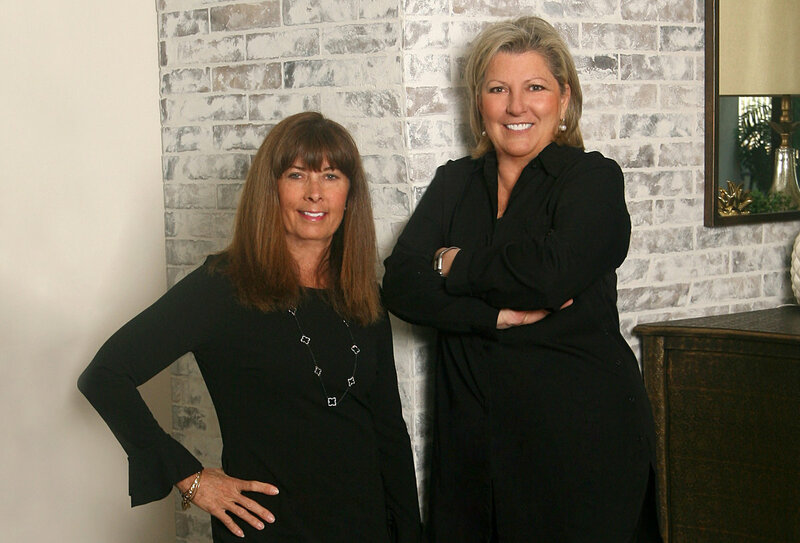 With extensive corporate backgrounds, both Kathy and Cindy have honed their business expertise into sharp, discerning negotiations and strategic decisions at every stage of the homebuying process. 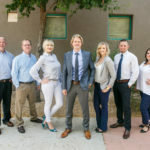 A commitment to continuing education and constant analysis of comparable properties, together with strong connections and resources throughout the Valley, keeps them—and their clients—on the leading edge of the industry. Even with more than $400 million in combined home sales, and accolades from all over the state of Arizona, a satisfied client is still the best reward for Kathy and Cindy. 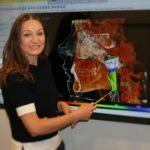 When someone is this passionate about their career, going the extra mile isn’t the exception—it’s the rule. Jeremy Mueller State Farm has been serving North Scottsdale and the surrounding areas since 2001. With the support of the local community, the agency has been able to grow and establish a customer-centric insurance agency. 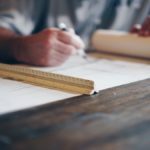 Since insurance is not a tangible item, the agency’s vision is to ensure each client has a clear understanding of products and a positive experience with every interaction they have with the team. Jeremy Mueller State Farm takes pride in building lifelong relationships with its customers by being there not just on the front end but throughout the life events of its clients. 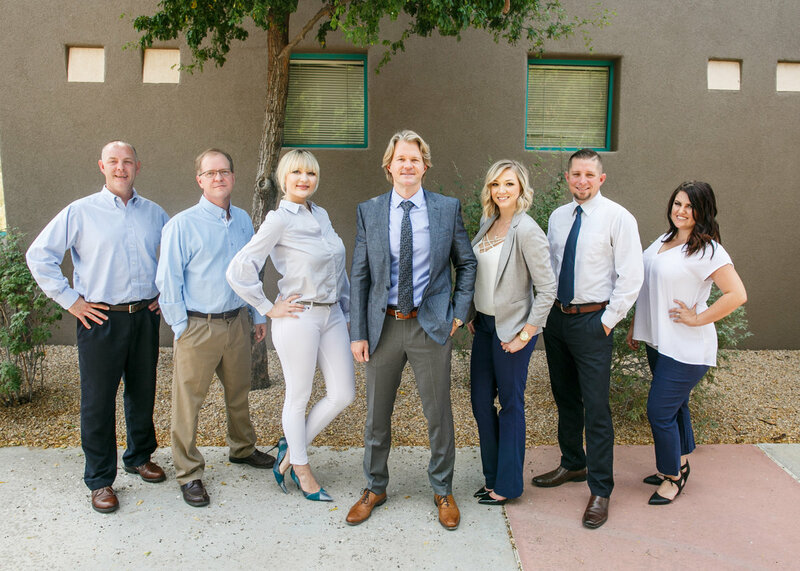 It is an absolute privilege to live and work in the community the agency serves and the team is honored to be featured amongst North Scottsdale’s best. Bell Lexus North Scottsdale is Arizona’s original Lexus dealership. 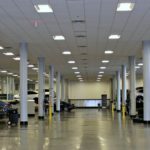 With more than 25 years of Lexus expertise, the dealership fully trains and certifies every product specialist, technician, financial specialist, service adviser and support staff to ensure every client gets the attention and service they deserve. The service department is ranked No. 1 in the nation in overall service satisfaction and within the top three for several years in a row now and knows how to spoil its guests. 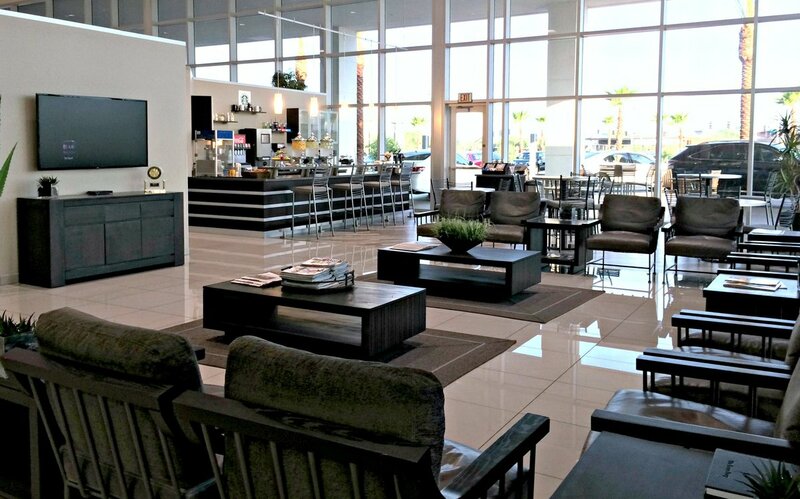 From the full-service valet who greets each person as they arrive, to the hostesses in the café who prepare breakfast and lunch, Bell Lexus aims to make every encounter with the dealership a positive, personal one. 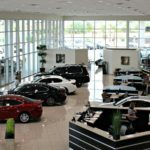 The dealership prides itself on providing an enjoyable sales experience as well, with specialists who take the time to listen and review options so that every Lexus sold is the perfect one. 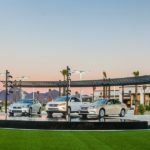 Bell Lexus North Scottsdale genuinely believes every client is a guest in its home and part of its Lexus family, and it works hard to prove it. 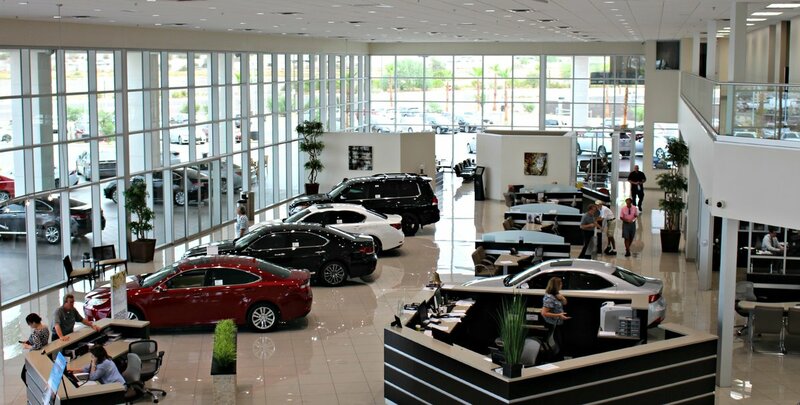 Bell Lexus is so pleased to be in North Scottsdale and truly appreciate the warm reception since it has been in the neighborhood. 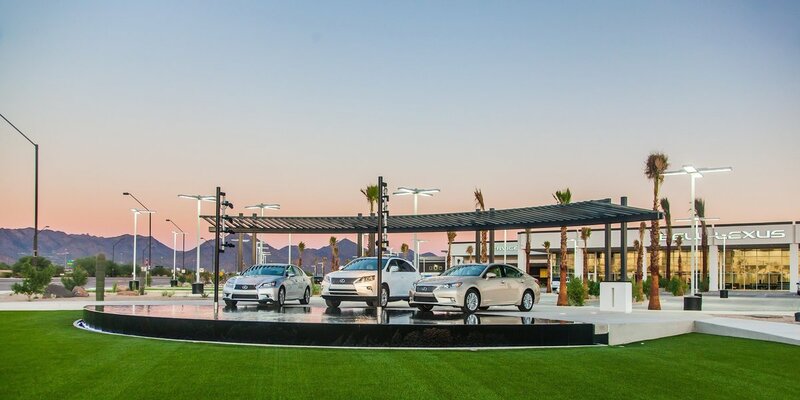 It’s the dealership’s pleasure to be here and serve this amazing community. Step into a refuge of head-to-toe pampering with a full range of skin, body and hair services inspired by the spirit and the ingredients of the desert. In 1991, Tom Hatten began Mountainside Fitness (then named Mountainside Gym) while a junior at Arizona State University. It was a small 4,800-square-foot fitness center in Mountainside Plaza located in Ahwatukee, and its signature was free towel service to everyone. 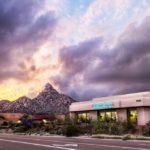 Hatten founded Mountainside Fitness on community, and this continues to be at the core as it grew to 16 locations and more than 80,000 members. As the leading fitness destination in Phoenix, Mountainside Fitness strives to provide members value through high-quality group fitness classes at every location, engaging child care you can trust, state-of-the-art equipment, clean facilities and towel service. Nestled in North Scottsdale is the Valley’s most revolutionary beauty destination. The Hills is a salon and spa where your worries will melt away as you relax in soothing and glamorous surroundings. The talented and highly educated staff guides you through your beauty experience, customizing treatments to fit your goals and needs best. The salon offers it all, from hair treatments and hair extensions to manicures, pedicures and nail art, spray tans to makeup applications and permanent makeup to lashes and more, you’ll know you’re in expert hands. After all, The Hills’ commitment to ongoing industry education is rivaled only by its dedication to making your experience as exquisite as possible. Come in and see why The Hills is the Valley’s No. 1 beauty destination. Since 1971, E. D. Marshall Jewelers has earned a distinctive reputation providing clients with Arizona’s largest selection of high-end gems, GIA certified diamonds, custom jewelry, and new and pre-owned luxury watches. With six full-time custom jewelers on site through more than 44 years of business, E.D. Marshall Jewelers has manufactured original fine jewelry designs for retailers such as Saks Fifth Avenue, Sakowitz, Marshall Field, Capriccio Fine Jewelry and several other exquisite specialty stores throughout the United States. From the beginning, Edmund Marshall established very high standards for quality and customer service. Whether buying or selling, E.D. Marshall Jewelers is committed to providing exceptional value and customer service. Diva Divine Boutique specializes in carrying the most dynamic styles in women’s clothing, accessories and gifts, and offering one on one help, making every customer feel like they are being pampered and taken care of. This is why Diva Divine has been a Scottsdale favorite for more than 20 years. The store is constantly being filled with new treasures and styles that are always one step ahead of the trends. Diva Divine Boutique has its own charm, which means you’re sure to find something special and unique every time you shop. See the difference for yourself by shopping small and local at Diva Divine Boutique! You will experience the best personal service and selection in town! 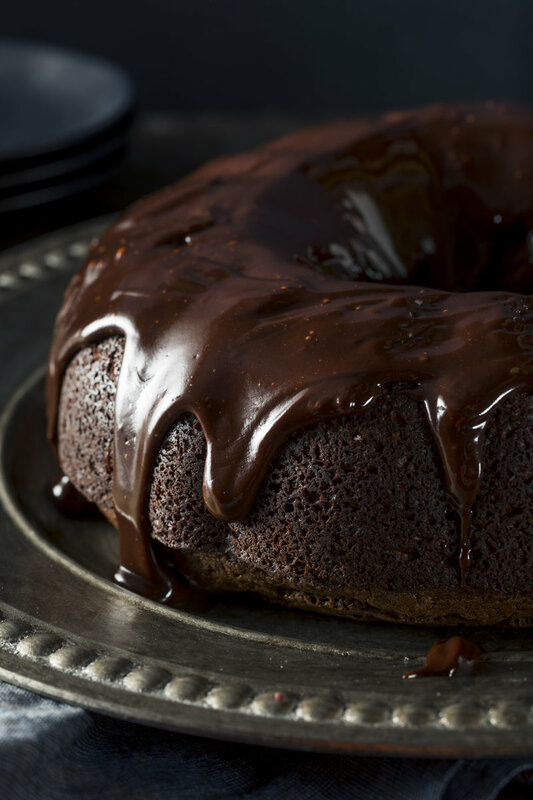 Step into a Nothing Bundt Cakes bakery and let the aroma of freshly-baked bundt stir your senses. 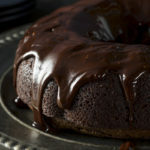 Choose from 10 luscious bundt flavors and 40 unique cake designs while you browse a treasure trove of unique gifts, charming cards and inspired decorator items. The nostalgic decor and playful atmosphere make the perfect backdrop to your quest for bundt perfection. Mastro’s collection of sophisticated, classic steakhouses is recognized for their combination of world-class service, highly acclaimed cuisine and live entertainment in an elegant yet energetic atmosphere. A truly unparalleled dining experience. Mastro’s aspires to create the finest experience for guests by combining the highest-quality steaks and seafood with exceptional service in a cosmopolitan and entertaining atmosphere. Cold Beers & Cheeseburgers has become the city’s hottest place to be! Keeping it simple, we decided to call ourselves exactly what we offer: cold beers and cheeseburgers! It’s not your basic burger place. The menu features only fresh ingredients with all items made in-house daily, and the beer menu consists of more 150 beer choices at most locations. Each location is casual and friendly, featuring comfortable leather booths, butcher block tables, more than 30 HD flat-screen TVs and a great sound system to catch all of your favorite sporting events. Each location has a patio to enjoy the beautiful weather. Most patios feature rolled-up garage doors, indoor/outdoor bars for direct service and high-top community tables with built-in beer coolers. No matter which location you visit, Cold Beers & Cheeseburgers will ensure that great service, amazing food, a high-energy atmosphere and a neighborhood feel is what you’ll find! 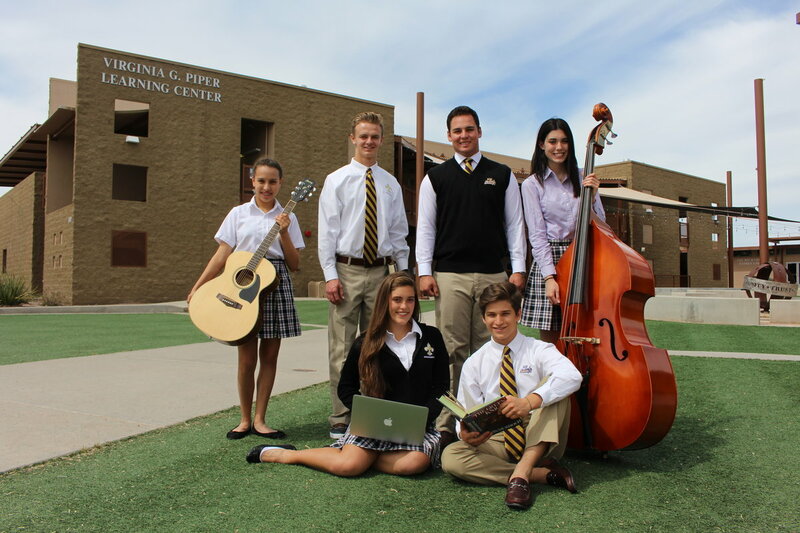 Opened in 2002, Notre Dame Prep is a four-year Catholic Diocesan college preparatory high school dedicated to strengthening the minds, bodies and souls of students from all around the Valley. 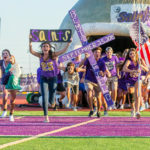 With a co-ed enrollment of 950 students, the school has received national recognition for the caliber of its academic, arts and athletic programs. 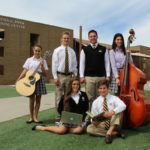 The school strives to live by its motto of Reverence, Respect and Responsibility. Scottsdale Pet Salon has a gentle, animal-loving staff that take pride in their work and to keep your pets calm and safe. 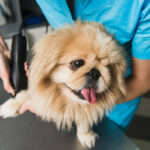 Certified groomers give you the personal treatment your pet deserves that you miss out on at those high-volume salons. Scottsdale Pet Salon offers breed-specific styling; custom requests; premium natural shampoos; fluff dry and brush out; face, feet and tail trim; and teeth brushing. All services include ear cleaning and nail clipping and filing. 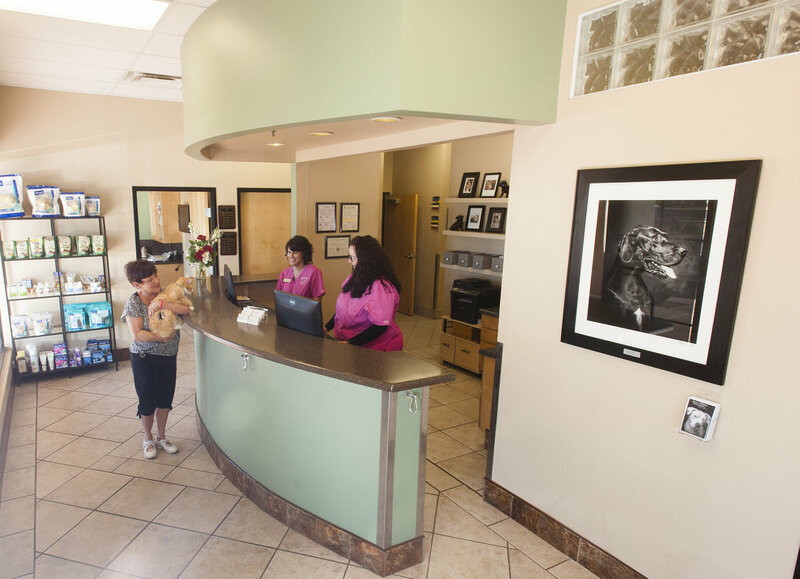 Pinnacle Peak Animal Hospital’s goal is to strengthen the human-animal bond through excellent health care services. Pinnacle Peak Animal Hospital believes in honoring the unique relationship pets have in our lives by creating an individualized partnership with each client to support their pet’s lifelong health. Through education, compassion and kindness, the practice encourages clients to take an active role in their pet’s health care. The full-service general practice offers an array of medical services, attentive boarding care and exceptional client service, all in a clean and comfortable environment. 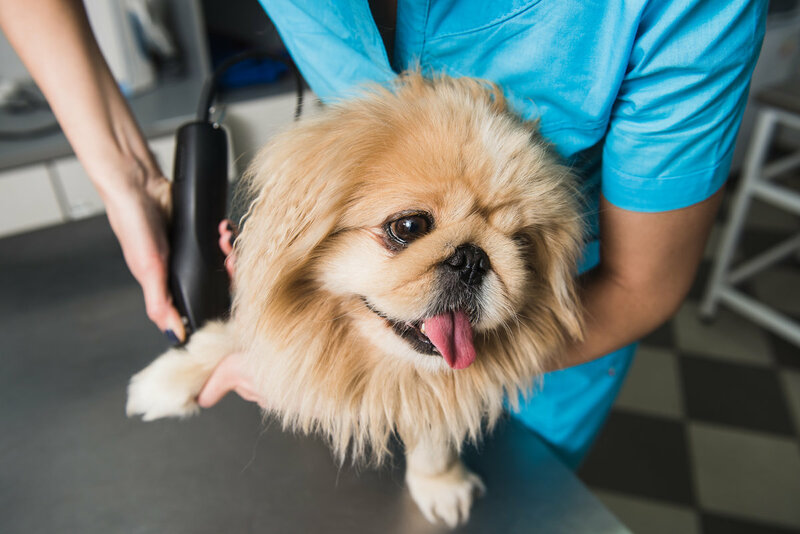 Pinnacle Peak’s doctors take pride in the highest possible standards of every pet’s health care and uphold the practice’s commitment to quality veterinary care through its premier accreditation with the American Animal Hospital Association.